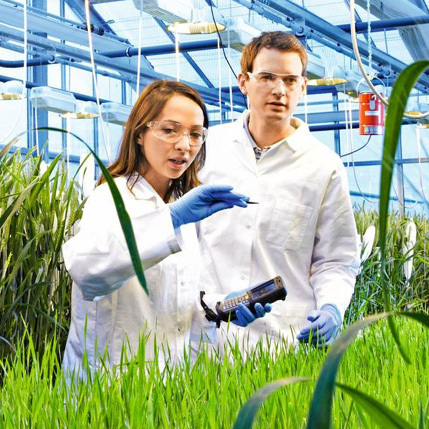 Optimal light spectrum provides increased yields as well as energy savings. 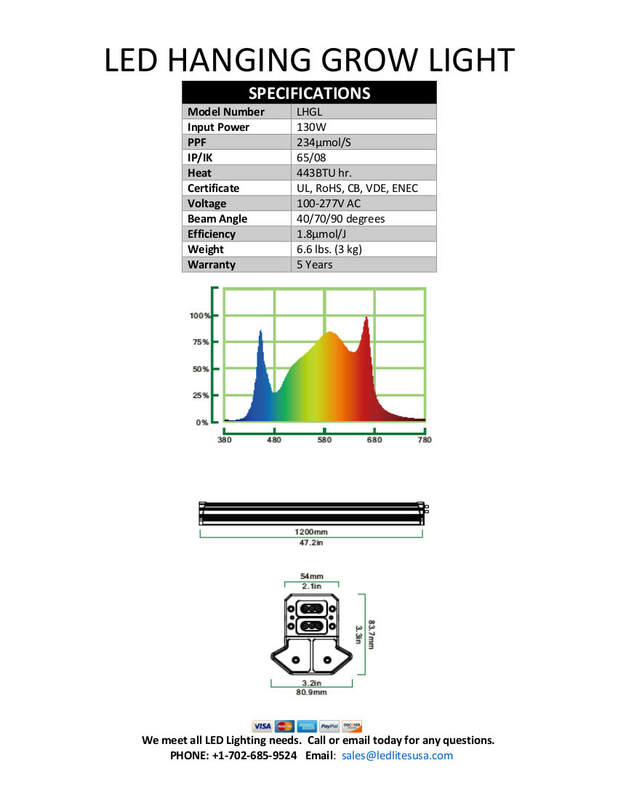 LED Lites USA spectra enable superior growth at lower light intensities than traditional light or un-optimized generic LEDs. LED Lites USA L-series and C-series products are ideal for multitier environments, thanks to their modularity in light delivery (ie. as they are of low wattage per meter, an optimal light canopy can be realized). LED Lites USA lights use high efficiency LEDs with optimal passive cooling, with minimal heat radiation towards the plants. This, and the high modularity of the L-series products and the uniform light spectrum (ie. 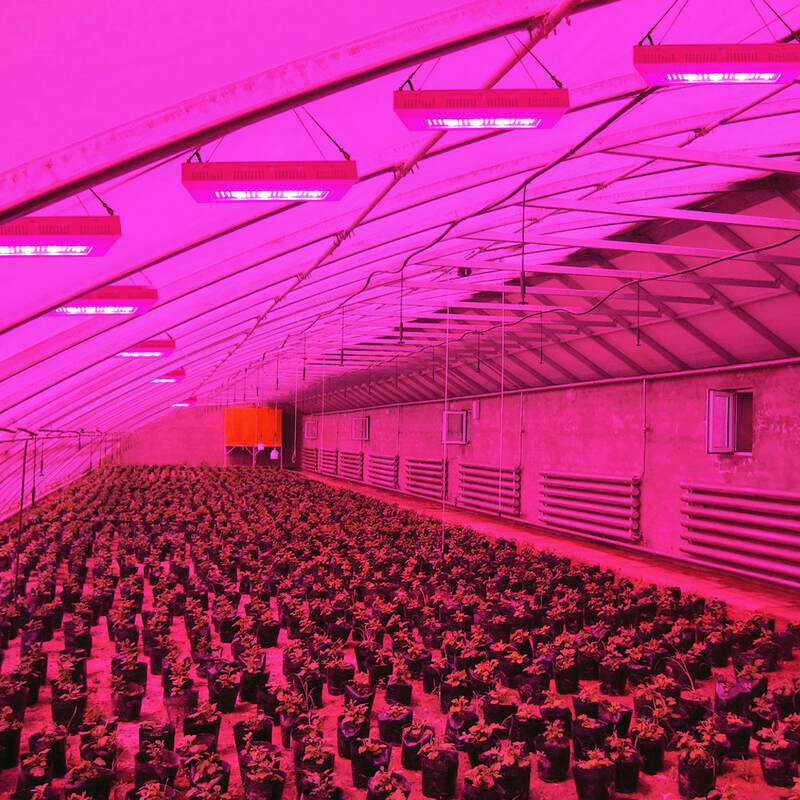 full spectrum LEDs are used, not combinations of red-blue) enables them to be used up to proximities of 15 cm from plants. Apart from LED Lites USA's grow lights offering the highest spectra quality, LED Lites USA luminaries are valued by the world-wide researchers due to the high CRI value (color rendering index), offering eye-friendly LED grow lights that reflect plant colours faithfully (more on CRI in our blog post ‘What is CRI’). Creating an ideal environment for cannabis plants is only achievable by understanding the principles of nature - the light spectrum is a factor that cannot be ignored. Most cannabis growers have multiple objectives in mind when planning an indoor grow. Drafting scenarios to achieve higher yields, increase THC levels, or simply to improve the overall health of a plant is an integral part of their hobby. This element of strategic planning involves the challenge to link knowledge of different scientific fields and to match those findings to a technical solution that helps to achieve predefined goals. Besides dedication and passion, it is the willingness to learn that differentiates good growers from future experts – so let us try to grow the royal way and learn what it takes to cultivate cannabis of exceptional quality. Today, we are looking at fundamentals of physics, and learn how the light spectrum affects the growth of a cannabis plant. WHAT IS THE LIGHT SPECTRUM? The sun emits energy in the form of solar radiation including gamma rays, x-rays, ultraviolet light, visible light, and even radio waves. Life on Earth is only possible because the ozone layer blocks this radiation, and reflects most of it back into space. This filtering process only allows wave lengths between 300nm and 1100nm to reach our plants and an even smaller portion of this light is visible to us. It is often referred to as the light spectrum, color spectrum or visible spectrum, and ranges from 380nm to about 750nm. Every organism living on Earth needs information what is going on around them to react to environmental changes, and ideally, get a slight advantage over other members of their species regarding natural selection and evolution. 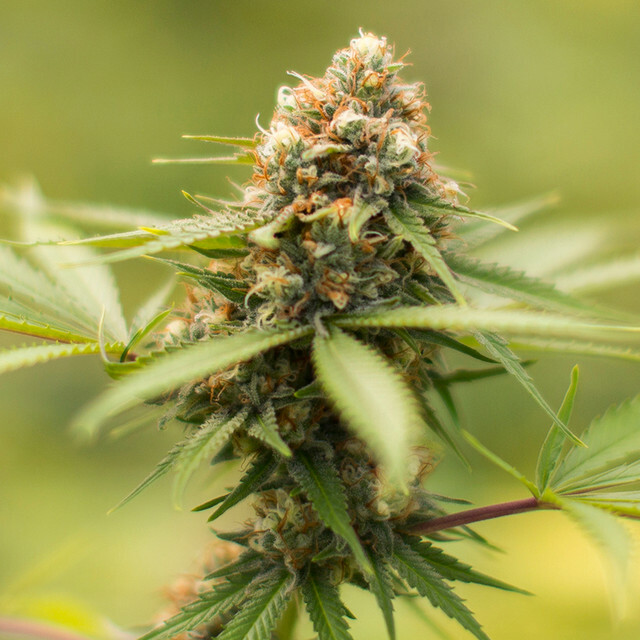 Interestingly, cannabis plants receive a lot of their information from the light they’re exposed to, and almost instantly react to different bands of wave lengths - a complex topic to fill books with, but let us focus on the basics first. 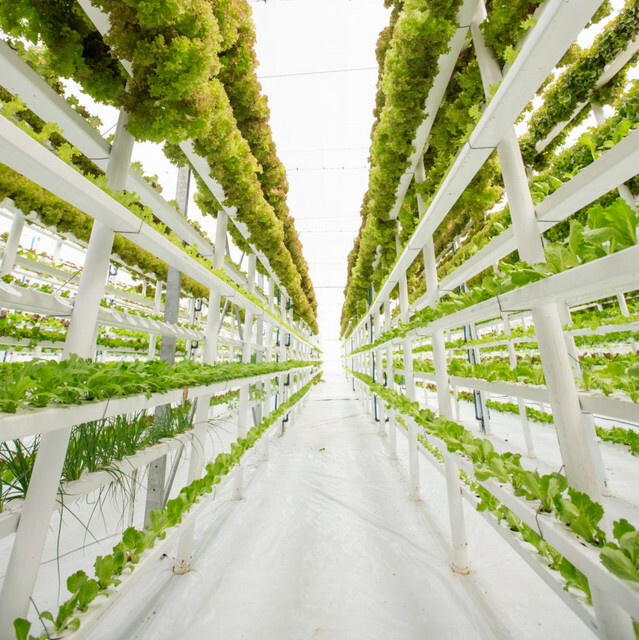 During the vegetative stage it is recommended to aim for as many leaves as possible, and to make sure plants stay rather compact, don’t stretch too much, and develop strong stems. Indoor growers tend to use metal halide bulbs, compact fluorescent lamps (CFL’s), or T5/T8 lighting fixtures with a blue band of light for the first few weeks to achieve these goals. When cannabis grows in nature, the high angle of the sun in spring and summer allows more “blue” wave lengths to penetrate through the atmosphere, a signal for cannabis plants to grow strong, large and healthy leaves.